So you’re on board – you want to ride that social media train. Perhaps you aren’t too sure where to start or maybe you are on your way, but not sure where you are going. Here are a few steps, seven to be exact, to help you along the way. 1. 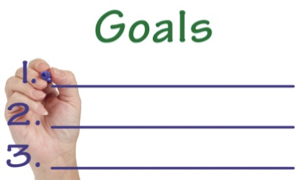 Define (and write down) your goals for using Social Media. 2. Describe your target audience? Who are your fans? Knowing who you are trying to reach and connect with will help you immensely. The basics are important to know (i.e. age range, gender, etc. ), but also think about where they are located, what they like to do for fun, and what they are interested in. Once you know who your fans are, it will be easier for you to connect with them. 3. Determine your ‘voice’ and embrace it. Who are you? Develop your voice and own it. If you have more than one person posting/tweeting, make sure you are all using the same voice and keep it consistent across all platforms. If you would rather use your own individual voices, you can, but be sure to sign your posts/tweets with your name so those following you know who it was coming from. A common misconception is that you need to be on every single Social Media platform for best results. In reality, the best results come from staying committed to your platform(s) and connecting with and engaging your fans. 5. Develop your strategy and create a plan. Who will monitor and reply to comments and posts? Where can you connect your platform(s) to your overall marketing plan? Do you have links on your website? In your emails? On your email signature? 6. Create a system to keep you on track and manage your content. I like to use a spreadsheet. On this spreadsheet, I track the date, content ideas, posts, and responses. Brainstorm content and write down your ideas. 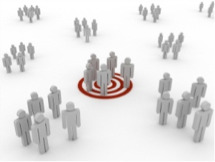 What do you have of value that your target market wants/needs/would benefit from? Include reminders to check your insights/analytics (if available) to reevaluate which kinds of content are the most engaging. What are your fans interacting with? 7. Start connecting and stay dedicated to it! Have fun! I’ll be here if you have any questions along the way. Need help mastering these concepts? 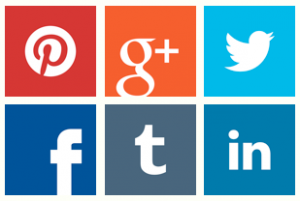 Register for one our Social Media classes today!